If you‘re wondering what’s the best social network for reaching out to teens, keep looking: there is no definitive answer. Teens are not the most loyal when it comes to apps, tools and social networks. For many years, Facebook has demonstrated its dominance in the social media scene; however, research conducted by Pew Reseach Center reveals that Facebook’s popularity is waning among the younger crowd. However, a large number of teens out there still maintain their Facebook account; when it comes to reaching out to the younger generation, Facebook is still one of the top social networks. But remember that the key to using Facebook with all demographics is engagement and participation. Your Facebook feed should not only contain photos, videos and text appealing to teens, they should also encourage responses from them. After all, most people, not just teens, get excited to see their likes, comments and followers they have on Facebook. The short-short tweet format makes it tricky for any marketer to get the millennials’ attention. Don’t blatantly push your product or services on Twitter. Instead, create a feed that establishes an identity that teens can relate to. To gain followers, follow other prominent people, businesses or organizations. Participate in trending topics most relevant to teens and your marketing objectives. Teens love taking and sharing photos, and that’s why Instagram is one of the most popular social media platforms for the young and trendy. On Instagram, users are not only able to share photos instantly, they can also edit these photos and write short descriptions about them. Editing can be in the form of using artistic filters and special effects enhancing their look and message. Other Instagram staples that excite teens are the “comment” and the “like” features. 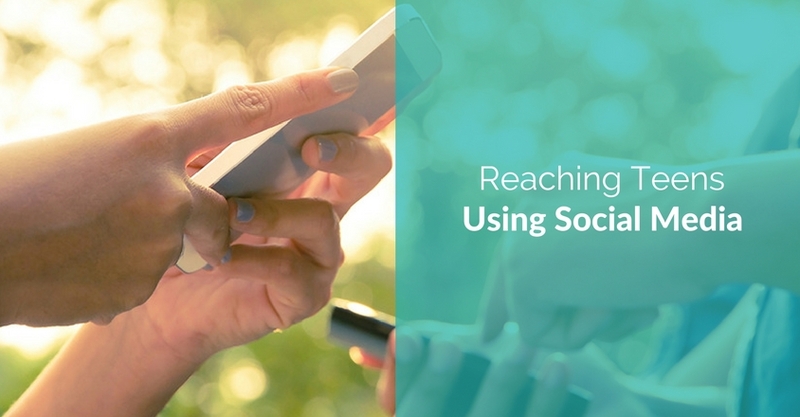 One way to meausre the success of your Instagram marketing campaign is by measuring the number of likes and comments you receive on your content. Celebrities also have a presences on Instagram as they use it to connect with their fans. And where you have celebrities, a mob of teenagers will always follow. This is the reason why Instagram is a “must” when it comes to marketing to teens. The Instagram challenge for brands is to come up with controversial, intriguing or fascinating photos that can captivate the hearts of the young. Instagram also lets users post 15-second videos. Hashtags are also a significant element in Instagram; use them to make the photos more visible to communities. Teens have a lot on their minds, and many of them choose Tumblr to express themselves. Though in many ways similar to other blogging platforms, Tumblr’s format is unlike WordPress or Blogger. This platform encourages the creation of short blogs, or “tumblelogs,” by users for the public to read. Most Tumblrs are filled with text, photos, and videos. Some of the Tumblrs that go viral collect memes and gifs which are highly appealing to teens. Because of Tumblr’s style and format, it has become a hit among the younger generation who love to keep online diaries and at the same time, share photos, music videos and funny stories with their friends. Tumblr is also an important source of information about youngsters nowadays: it can tell you what’s new and trending, and helps you understand millennials’ dreams and aspirations. Unlike Facebook, which appeals to a wider range of age groups, Tumblr is mostly teen and young adult territory. If your target audience is teenagers, this is the perfect avenue to get the teens’ attention and get ahead of your competitors. Like Tumblr, Snapchat is mostly a teen social network. It’s unique among top social networks in that shared photos are automatically deleted from the page after seconds of viewing it. 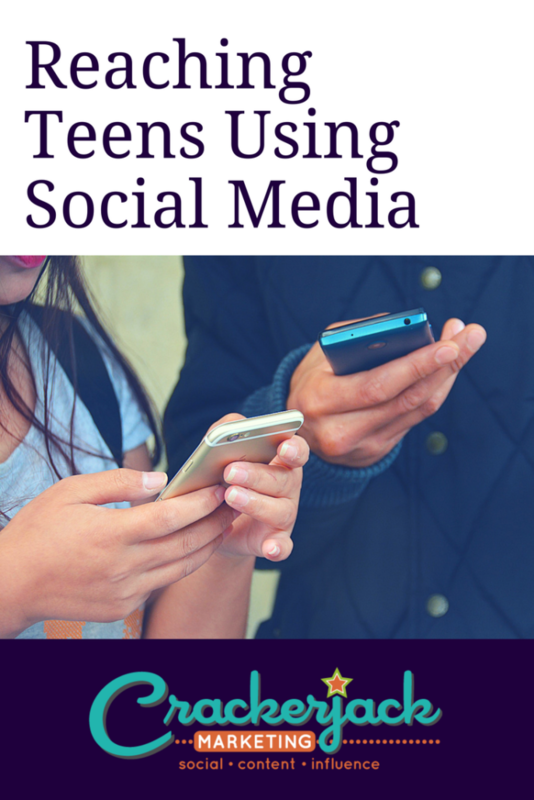 This distinct and often controversial feature allows teens to share stuff to their friends, without worrying about the prying eyes of adults. Since Snapchat is such a dynamic and fleeting platform, remember to use highly creative photos in your content that spark curiosity and intrigue among your teen audience. With more than three-fourths of teen Internet users using social media, it makes sense for brands connect with teens via social platforms. Facebook is (contrary to popular belief) still very popular with teens, and Twitter is on the rise. But just being visible on the same sites that your teen audience uses isn’t enough. Reaching this demographic requires you to be creative, visual, and interested in the things that drive them, make them think, and inspire them. It also means incorporating mobile, as nearly half of teen cell phone users have smartphones. A few brands have recently mounted cool, and effective, campaigns aimed at teens. There’s lots to learn from in these examples. Given the recent rise of teens as Instagram users, Taco Bell leveraged the photo-sharing tool to reach out to the youth set. The Yearbook Time. 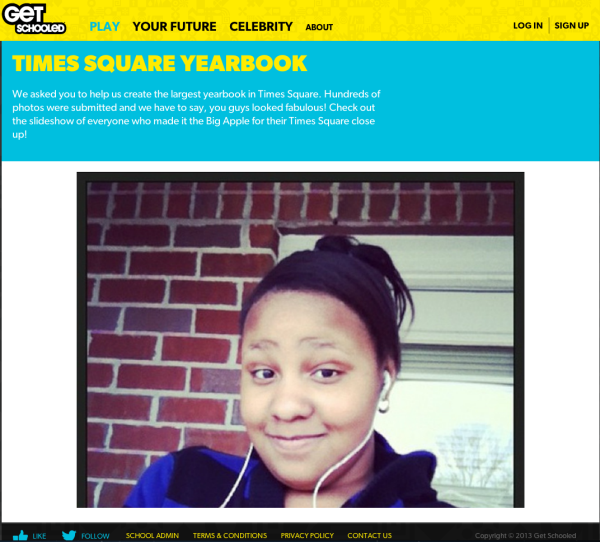 Upload Yourself into Times Square program was meant to grab the attention of teens, promoting Taco Bell, the Taco Bell Foundation for Teens, and the company’s partnership with Get Schooled, a non-profit that focuses on improving high school graduation and college success rates. With this campaign, teens pledged to graduate from high school as part of the Graduate for Mas program and uploaded their own Instagram photos. Taco Bell donated $100 to The Taco Bell Foundation for Teens for each photo teens uploaded as part of the promotion. Additionally, some lucky teen participants got to see their names and photos posted in Times Square as part of a huge yearbook. This campaign focused on reaching teens where they are already active participants, speaking to an issue of importance to them, and driving brand and cause engagement. Coca-Cola has launched an innovative long-term effort intended to capture the attention of teen audiences and boost engagement via not just one website, but 61 of them. The Ahh Effect campaign focuses on Coke and the response drinkers should have when taking a sip: an audible “ahh.” In fact, that “ahh” is employed as a sound effect on the sites used for this campaign, which feature videos, games, and creative images. For example, visitors to one of the sites can use their cursors to move Coke bubbles around and hear the “ahhh” sound, or throw ice cubes in a glass of Coke. 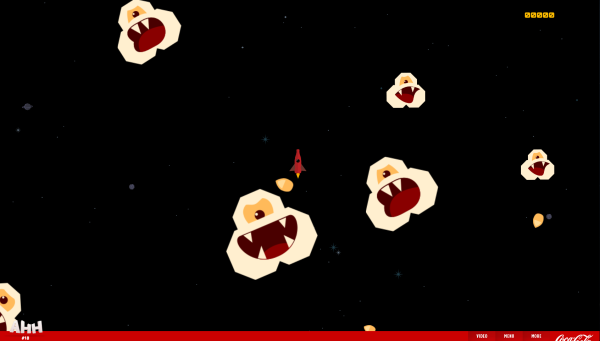 The campaign is designed to deliver the best experience via mobile. Coke envisions this campaign as a multi-year efforts, so we can expect it will change and grow as new platforms and technologies emerge. The Game of Life Facebook app is aimed at students in the process of deciding where they want to pursue higher education. The goal is to attract new students to the brand-new OZU University in Istanbul, by allowing them a glimpse into the future. The app gives students the opportunity to make virtual choices for their life at OZU and then take earning a degree at the university on a test drive. Then, the app lets students view a projected timeline set 5 years after graduation from OZU. Users get a view of the future they might have if they decide to attend the university. The campaign is particularly clever because it uses students’ real data from Facebook, keeping them engaged where they already are, and making it real without requiring them to enter data on a third-party site. 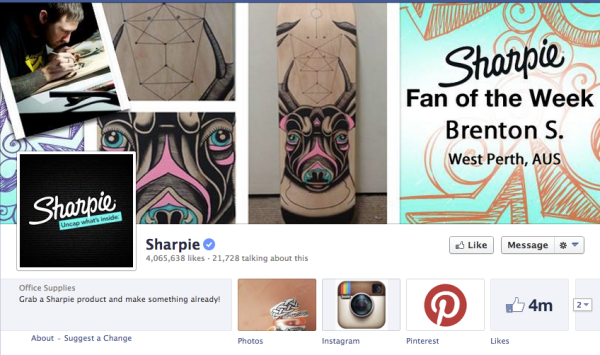 Much of Sharpie’s success with reaching teens via social media is attributable to its multi-channel approach. Sharpie doesn’t just seek out its audience on sites like Facebook and Twitter; it also has significant communities in Instagram, YouTube and Pinterest. The brand uses videos and images to capture the attention of its teen fans, and it promotes self-expression and sharing by encouraging fans to contribute their own content, such as music video mashups. Sharpie has even incorporated fan content into an official music video. Sharpie was one of the earliest pioneers in social media, so it’s no surprise that they’re on top of new platforms and constantly thinking of new ways to engage with fans of all ages. Overall, teen users spend more time on the Internet than adult users. Likewise, they tend to watch less television than their parents do, so brands have to find them where they are. So be prepared to see more and more teen-focused social media campaigns, coming soon to a laptop, and smartphone, near you. 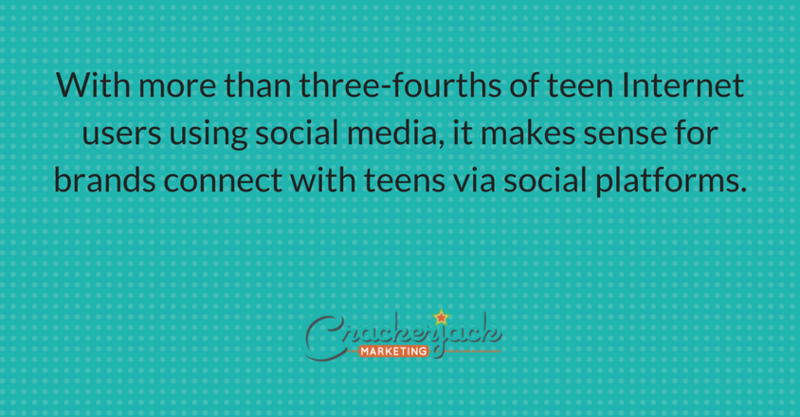 Have you seen or created any cool teen-focused social media campaigns recently? We’d love to hear about them. Please share in the comments!